How do crazy people go through the woods? Why should you never feed a canyon? Because they always gorge themselves. What animal can jump higher than a canyon? Any animal. Canyons don’t jump. Now it’s time for you to vote. Vote by leaving a comment—but do so before Tuesday, because that’s when the voting ends and the final round begins. I love canyons, but those woods are gorgeous. Woods. Yeah, I said it. The jokes just getting more painful. Awesome. I gotta go with woods. They be haunted, but they're not fall-in-y. Rep, your one-liners are painful but priceless. I vote for the canyon. It's the grand and more interesting option. I tried to make the jokes extra horrible this time. Glad someone can appreciate the pain. It's good to know that the lameness of those jokes really registered with people. And sorry I could not travel both............Two roads diverged in a wood, and I took the one less traveled by, And that has made all the difference. You make this very difficult. The woods are lovely and canyons are beautiful. How do we decide? 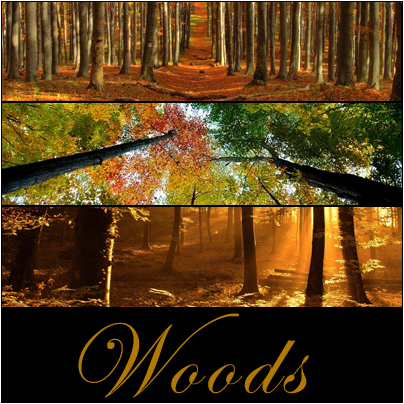 I guess I'll go with the woods because they remind me of fall for some reason. Though I'm afraid of bears who often live there. I am going with woods on this one. I am going with woods, yeah the cannon looks great but the woods you can walk through. 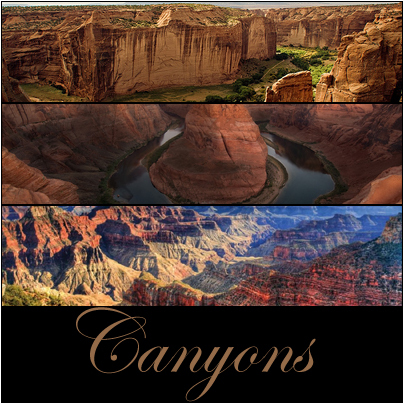 Canyons. They're more majestic and have less poison ivy. Canyons....I can see the woods any day of the week. Woods! Yeah, woods. Sticking to it.